Thank you to everyone who came by our table at the Birmingham Comics Festival!! - I had so much fun sharing with Charlotte from Laydeez Do Comics Birmingham and Joe Krawec & Angus Medford! 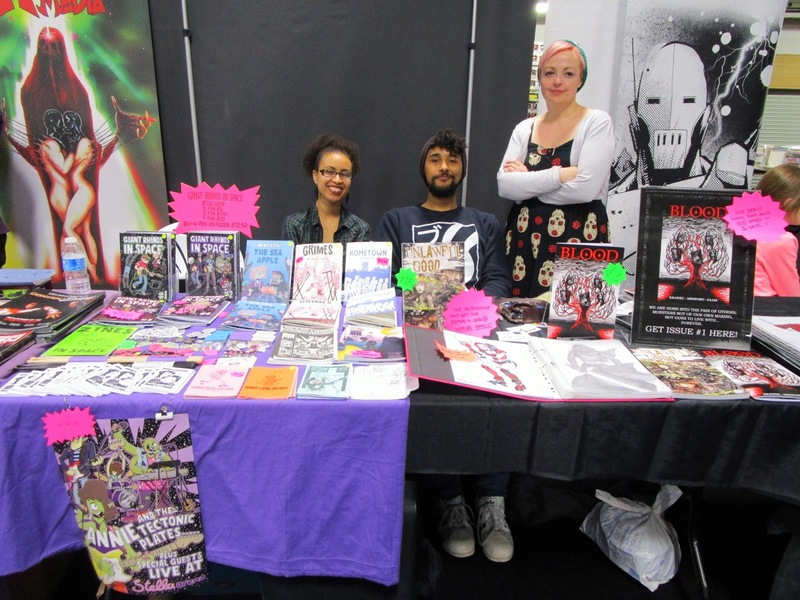 The West Midlands comics scene is full of lovely people! 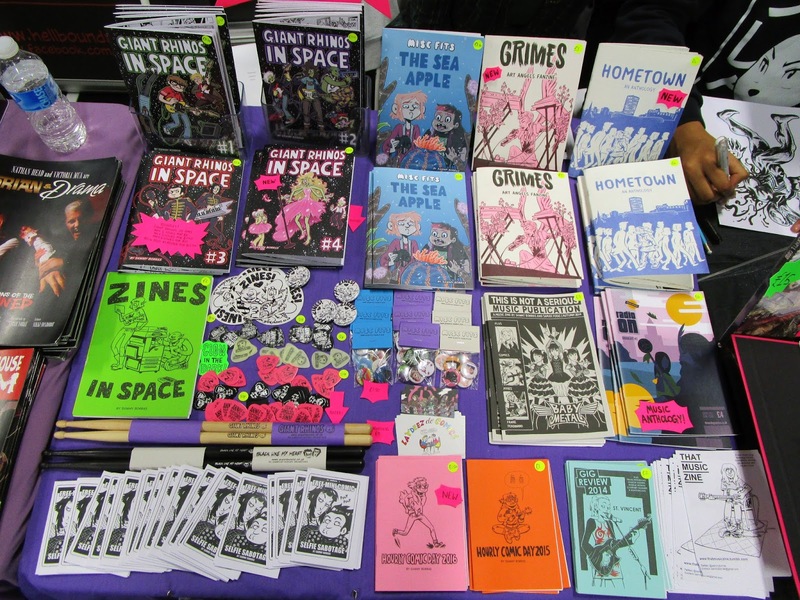 The Laydeez Do Comics Hometown anthology is now available to order online through this Big Cartel shop! and join us on Facebook for regular updates about LDC Birmingham events! The next event will be Comica Comiket at The House of Illustration on the 14th May. Make sure you try to see the Comix Creatrix and Shojo manga exhibitions before they end - LDC Birmingham did a field trip a couple of weeks ago and it was excellent!! I was interviewed by local comics creator Rees Finlay for the Indie Project Podcast, we mostly discus making small press comics and zines. 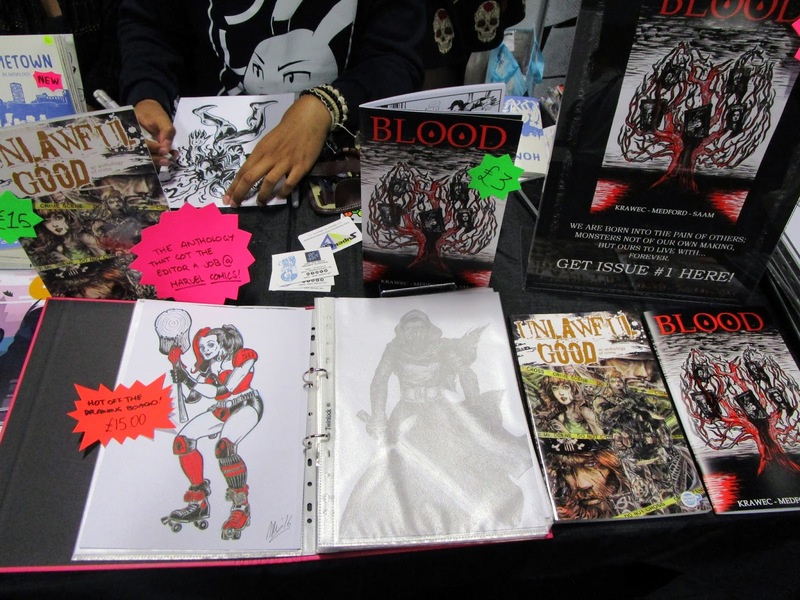 You can find Rees' comics and learn more about The Indie Project here.